Julie Novakova – Page 8 – Website of science fiction and detective stories author Julie Novakova. In an interview for XB-1 magazine, Adam-Troy Castro, a remarkable SF author known especially for his Andrea Cort detective SF stories, revealed what he’d been working at recently, what might happen should he ever try time travel, whether we can be looking forward to new stories from his popular Aisource Infection universe and more. Enjoy this snippet from the interview! You’re a quite prolific author. How do you cope with time constraints that come along with it without time travel (assuming you don’t have a time machine hidden in your basement)? Actually, I’m a prolific time-waster, when I’m not feeling it. You have absolutely no idea. But if you produce some directed work every day, the work accrues. I try for a thousand words every weekday and frequently beat that, sometimes by multiplying it. When a story is hot, I leave the thousand words far behind. I suspect that the rest of time is battery recharging. Assuming you actually had a time machine hidden in your basement, would you visit your past selves like the protagonist of your story “My Wife Hates Time Travel” or would you rather try to avoid this? Oh, boy, if I had a time machine, the advice I would give my younger self! But I’d never stop. I also perceive that sometimes the good things that happen in life occur only because the bad things steer you toward them. I suspect that if we could edit our lives we would not make them better, but homogenize them, removing the flavor. In the Czech Republic, you’re well-known especially for your Andrea Cort novels. Are you planning to write more about her and from the AIsource Infection universe? Yes, though I haven’t for a while, and none of the stories currently in the publication pipeline fit in that universe. At various points of completion on my hard drive are a new Andrea Cort novella and another starring the Porrinyards at a point in their lives before they met her. One of the problems I have with writing a new Andrea Cort story at this point is that it necessarily has to take place in her past, as the chronologically latest story, “Hiding Place”, brings her to a point where something has to change for her, one way or another, and I cannot address the issue except at novel length, and I cannot write the novel unless I know somebody’s willing to foot the bill for it. Stories set in her past, before EMISSARIES FROM THE DEAD, are fine, as happened with “With Unclean Hands,” but then the Porrinyards get left out, and I consider them an important part of the recipe for Andrea stories, as she can be pretty intolerable without their leavening influence. So, yeah, she needs novels. As for other stories in the AIsource Infection universe – they will be coming, though again, there are none in the publication pipeline right now. Andrea’s experiences present a world where corporate slavery is a daily reality for most people, bullet-proof job contracts for decades ahead are common and human rights are a luxury on countless planets. Are you afraid that we might actually be going there? Absolutely terrified of it. Already, the simple economic truth of life in most human societies is that if you’re not screamingly wealthy or otherwise somebody in power, you are a disposable spare part — and the simple truth of most empowered people is that the power is devoted to acquiring more. You’ve written about zombies or vampires several times. How do you perceive recent changes of these phenomena and their popularity? It amuses me that people argue at such length about changes in the “rules,” as if the rules weren’t always arbitrary. Generally, I roll my eyes at anything that paints vampires (and now zombies!) as sweet and attentive lovers; that’s necrophilia and therefore gross. There have been some recent innovations in both tropes, in print, that I find thrilling. I’ve noticed that none of your bios online mentioned your work before you started your professional writing career, just that you studied Communication Arts at Cornell. I must admit it piqued my curiosity. What was your profession before you became a full-time writer? I worked a customer service line for many, many years, and both it and a much shorter spell of one year in retail were so horrific that I keep talking about fictionalizing them, someday. Maybe. If I can stand to look. Can you tell us what are you currently working at? I am working on various novel proposals. The one I have the biggest hopes for, right now, is called LAWLESS, and is currently making the rounds; though I have something else in the pipeline, not yet ready for submission, that might or might not see the light of day. I offer only one teaser about that one, unreliable in that it might not reflect the intended product in the way you think it does: TRANSYLVANIA. The full interview (in Czech) can be found at XB-1’s website. The print version was published in March issue of the magazine. Next up some time later is Ken Liu! 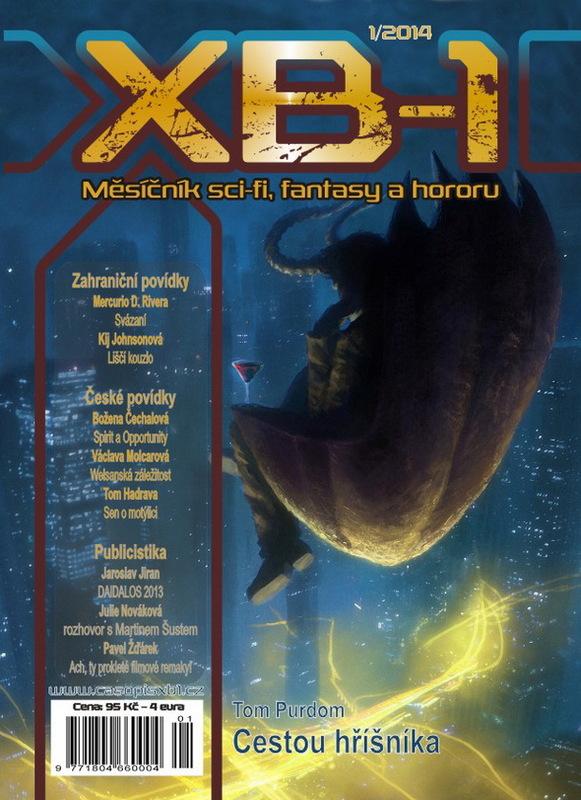 The April issue of Czech SF magazine XB-1 was published today, including a new flash story of mine and my interview with Ken Liu (from which I’ll post a snippet here some time later). 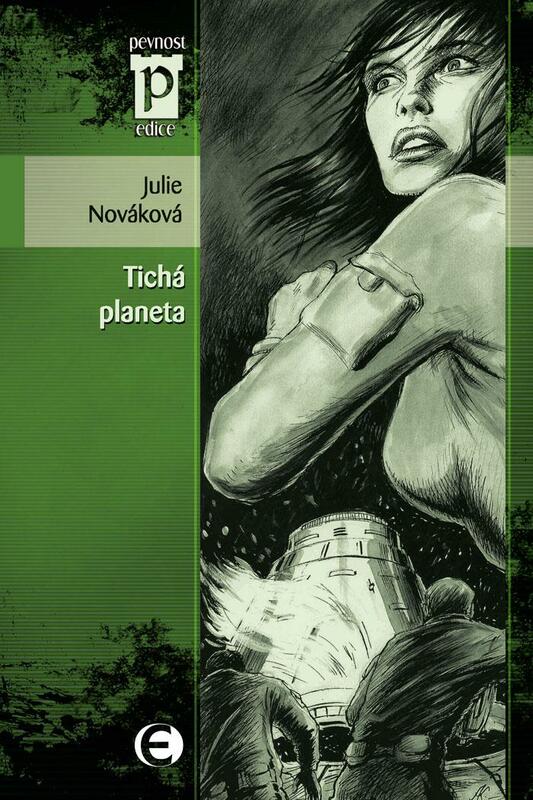 In other news, the Czech urban SF anthology Zpěv kovových velryb (The Song of Metal Whales) by editor Vlado Ríša is out and had a book launch on Saturday during StarCon convention in Prague. The convention was great though I only had time to arrive just before my afternoon lecture on exoplanets and the following discussion with authors plus the anthology launch. There’s a new work in English too, nonfiction in this case; I’ve got an article about subsurface oceans in the new issue of Clarkesworld (for resources on the topic, see previous blogpost). It’s been a good week; let’s hope for others like this one to follow. These places never see sunlight, are buried deep under thick ice crusts and warmed mostly by radioactive decay and tidal forces: subsurface oceans of celestial objects far from their stars – if they have any. Decades ago, they were the domain of science fiction, until such places were hypothesized in our solar system thanks in part to Voyager flybys of Europa in 1979. Shortly after, the idea was popularized when it appeared in Arthur C. Clarke’s Space Odyssey saga. Since then, we learned much more about characteristics of possible subsurface oceans, discovered that they probably exist on more worlds than we dared to expect just a few years ago, and that they’re more fascinating than even SF authors hoped. My article on the topic of subsurface oceans was published today in Clarkesworld Magazine. I wrote about moons and dwarf planets in our system as well as extrasolar planets; however, the topic is so vast that I couldn’t have possibly covered everything of interest – especially when virtually any piece of information is interesting and thought-provoking. If you’ve read the article and want to go deeper and learn more, you can read some of the following material I’ve used. Many of the scientific papers can be downloaded without any special access (use Google Scholar). The rest should be accessible from most university libraries. If you don’t want to dig into the scientific articles at first, I can recommend the popular science book Alien Seas: Oceans in Space. It doesn’t deal just with subsurface oceans of icy objects; it concerns nearly any conceivable kind of oceans in a broad sense of the word, in our system as well as in the rest of the galaxy. It’s an excellent introductory read, well-written and an interesting food for thought. There is plenty of resources about Europa but it’s never a bad way to start with a relatively recent good review. That’s the case of Kargel et al. (2000); very comprehensive information about Europa’s history, geology, characteristics of both the crust and the ocean and its prospects for life can be found there. Specifically conditions for methanogenesis as an energy source for possible life on Europa are discussed in McCollom (1999). More about all three Galilean moons possibly containing bodies of liquid water and consequences of different parameters is to be found in Zimmer et al. (2000) and Spohn and Schubert (2003). A lot has been published about Saturn’s moons Enceladus and Titan; this is just a tip of the iceberg: Titan’s probable internal structure is described in Tobie et al. (2005). Regarding the tiny Enceladus, Roberts and Nimmo (2007) investigated the long-term stability of its ocean; analysis of ice grains from its geysers in Saturn’s E-ring is present in Postberg et al. (2009); shear heating as a heat source for the ocean is discussed in Nimmo et al. (2007); possible conditions for life in Parkinson et al. (2007); this along with possible biomarkers in McKay et al. (2008). A paper by Hussmann et al. (2006) dealt with modeling the interior of icy satellites of the giant planets and trans-Neptunian objects. This work represents a turning point of a kind – a subsurface ocean even in very far Kuiper belt bodies like Eris and Sedna (sometimes also considered an inner Oort cloud object) was first officially proposed here. Thermal evolution and possible cryovolcanism of KB objects is also investigated in Desch et al. (2009). Concerning Pluto, Robuchon and Nimmo (2011) modeled Pluto with several different initial condition sets and proposed what observable features might tell us about the possible presence of the ocean during the New Horizons flyby. Spectroscopy of Pluto, its moon Charon and Neptune’s Triton is described in Protopapa et al. (2007), including the detection of crystalline water ice on Charon’s surface. A very good overview of possibilities of life in the Solar System, including subsurface oceans, and opportunities of energy cycles and geoindicators of life detection can be found in Schulze-Makuch et al. (2002). Speaking of even further places, Ehrenreich and Cassan (2006) investigated the possibilities of existence of bodies of liquid water (both surface and subsurface) on extrasolar planets throughout the galaxy. Information specifically about the GJ 667C system can be found in Anglada-Escudé et al. (2012). Exomoons are discussed very well in Scharf (2006). I hope you enjoyed the Clarkesworld article and this list of resources will be of interest to you. If I’ve managed to ignite even one spark of fascination and curiosity, I’m happy. 3rd April 2014 update: Results from Cassini’s measurements of the gravitational pull of Enceladus suggest a large pocket of liquid water near the south pole, as published in the newest issue of Science (Iess et al. 2014); it adds to the indirect (albeit extremely important) evidence of the moon’s intense cryovolcanism. So – good news! Also, discoveries of three dwarf planets were announced in the last couple of days. 2013 FY27 is might be even larger than Sedna (between 760 and 1500 km compared to about 1000 km) so we can expect quite significant radiogenic heating – according to Hussman et al. (2006) model maybe sufficient for a liquid ocean. Let’s hope for even more amazing discoveries like these. Anglada-Escudé, G., Arriagada, P., Vogt, S. S., Rivera, E. J., Butler, R. P., Crane, J. D., … & Jenkins, J. S. (2012). A planetary system around the nearby M dwarf GJ 667C with at least one super-Earth in its habitable zone. The Astrophysical Journal Letters, 751(1), L16. Desch, S. J., Cook, J. C., Doggett, T. C., & Porter, S. B. (2009). Thermal evolution of Kuiper belt objects, with implications for cryovolcanism. Icarus,202(2), 694-714. Ehrenreich, D., & Cassan, A. (2007). Are extrasolar oceans common throughout the Galaxy?. Astronomische Nachrichten, 328(8), 789-792. Hussmann, H., Sohl, F., & Spohn, T. (2006). Subsurface oceans and deep interiors of medium-sized outer planet satellites and large trans-neptunian objects. Icarus, 185(1), 258-273. Kargel, J. S., Kaye, J. Z., Head III, J. W., Marion, G. M., Sassen, R., Crowley, J. K., … & Hogenboom, D. L. (2000). Europa’s crust and ocean: Origin, composition, and the prospects for life. Icarus, 148(1), 226-265. McCollom, T. M. (1999). Methanogenesis as a potential source of chemical energy for primary biomass production by autotrophic organisms in hydrothermal systems on Europa. Journal of Geophysical Research: Planets (1991–2012), 104(E12), 30729-30742. McKay, C. P., Porco, C. C., Altheide, T., Davis, W. L., & Kral, T. A. (2008). The possible origin and persistence of life on Enceladus and detection of biomarkers in the plume. Astrobiology, 8(5), 909-919. Nimmo, F., Spencer, J. R., Pappalardo, R. T., & Mullen, M. E. (2007). Shear heating as the origin of the plumes and heat flux on Enceladus. Nature,447(7142), 289-291. Parkinson, C. D., Liang, M. C., Yung, Y. L., & Kirschivnk, J. L. (2008). Habitability of Enceladus: Planetary conditions for life. Origins of Life and Evolution of Biospheres, 38(4), 355-369. Postberg, F., Kempf, S., Schmidt, J., Brilliantov, N., Beinsen, A., Abel, B., … & Srama, R. (2009). Sodium salts in E-ring ice grains from an ocean below the surface of Enceladus. Nature, 459(7250), 1098-1101. Protopapa, S., Herbst, T., & Böhnhardt, H. (2007). Surface ice spectroscopy of Pluto, Charon and Triton. Messenger, 129, 58-60. Roberts, J. H., & Nimmo, F. (2008). Tidal heating and the long-term stability of a subsurface ocean on Enceladus. Icarus, 194(2), 675-689. Robuchon, G., & Nimmo, F. (2011). Thermal evolution of Pluto and implications for surface tectonics and a subsurface ocean. Icarus, 216(2), 426-439. Scharf, C. A. (2006). The potential for tidally heated icy and temperate moons around exoplanets. The Astrophysical Journal, 648(2), 1196. Schulze-Makuch, D., Irwin, L. N., & Guan, H. (2002). Search parameters for the remote detection of extraterrestrial life. Planetary and Space Science, 50(7), 675-683. Spohn, T., & Schubert, G. (2003). Oceans in the icy Galilean satellites of Jupiter?. Icarus, 161(2), 456-467. Tobie, G., Grasset, O., Lunine, J. I., Mocquet, A., & Sotin, C. (2005). Titan’s internal structure inferred from a coupled thermal-orbital model. Icarus, 175(2), 496-502.
Zimmer, C., Khurana, K. K., & Kivelson, M. G. (2000). Subsurface oceans on Europa and Callisto: Constraints from Galileo magnetometer observations.Icarus, 147(2), 329-347. Earlier today, NASA announced the discovery of a probable new dwarf planet 2012 VP113. Its perihelion is even futher than Sedna’s, at around 80 AU. Though not nearly as eccentric as Sedna (e = 0.698 compared to 0.859) and therefore with a much closer aphelion (around 450 AU), it’s still one of the few most eccentric relatively large bodies of the Solar System. Why is it so amazing? It might continue to tell us a story Sedna started: a story about the origins of our system and its early days. It shows that Sedna is not a unique anomaly and might point us towards further evidence for some of the theories what might have happened to perturb their orbits so much. Was it a close passing of another star from the Sun’s birth open cluster? Or possibly a massive rogue planet? And should we expect bodies even larger than Earth in the inner Oort cloud? Could it all together tell us more about the characteristics of the early accretion disc around the Sun and help us with the theory of planet formation, extended a bit lately by observation of other systems in various phases? Quite a lot of objects similar to 2012 VP113 might be lurking beyond the Kuiper belt, waiting for their discovery; with periods lasting thousands of years, catching them all seems rather a long-time job. And a wonderful one too; a quest after the wild ancient history of our own home. Amazing discoveries are being made every day and one cannot possibly learn them all, let alone try to comment on them. I usually don’t tend to comment since I usually would only be repeating what was said somewhere else at a greater length (or I’d offer my own perspective, wrap it up in further knowledge and publish it somewhere I’d get paid – such is the reality of a poor time-constrained writer) but I made a tiny exception today for several reasons. Sedna has likely lost its primacy as a dwarf planet with the furthest perihelion, and I’m quite fond of this object. It was the first one of its class, the one that kindled the imagination of scientists and suggested that a large-scale event like another star’s passing less than 1000 AU from the Sun might have occurred long time ago. I love the outer Solar System very much (not that I didn’t love the rest of it too, after all, I live in the inner part quite happily) so this finding excited me at the greatest level. I was extremely excited about gravitational waves lately, but this one just fell into an area much closer to me. Quite literally, too. After all, both of these discoveries are fascinating narratives: one about the history of our universe, the other about our system. They’re mysteries; results of the work of brilliant dedicated detectives, developing still better methods and finding more and more clues. What more can a storyteller want? I’m bringing you another snippet from interviews I do for XB-1, this time with a notable Czech SF editor Martin Šust. 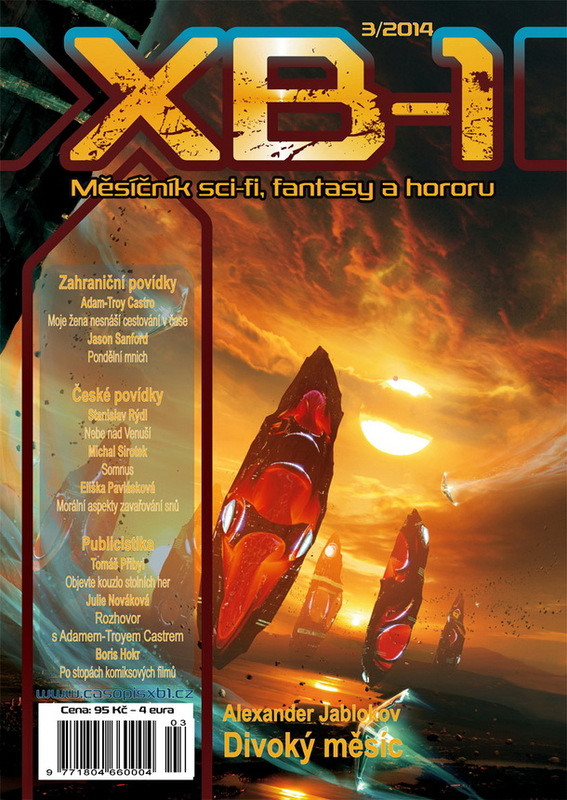 Martin Šust is well-known as the editor of foreign lit section of XB-1 magazine, XB-1 website, several Czech publishing houses, particularly Laser-books, and formerly the Czech edition of F&SF. He has edited mainly new weird anthologies Trochu divné kusy (Rather Weird Pieces) 1 – 3 and an anthology of new space opera Plameny hvězd (The Stellar Flames). He’s also the author of Slovník angloamerických autorů fantastiky (The List of Anglo-American SF authors) and specializes in introducing exciting foreign SF on the Czech market. His newest contribution is a retrofuturistic anthology Plnou parou (Full Spead Ahead). In this snippet I had chosen from the interview, he talked about his views about Anglo-American as well as Czech fiction and the future of speculative fiction. Online publishing made the work somewhat easier, of course, but not very much. For example, only three from the twelve stories in Full Steam Ahead were published in online magazines and one solely on Amazon, most of them came from various anthologies – so I still needed to contact the authors and ask them if they could send me their text. On the other hand, more and more stories are getting published nowadays thanks to the online market, so orientation on the market and the final decisions became rather harder. Luckily, I have a lot of contacts and experience thanks to working for XB-1, formerly Ikarie, which comes as a great advantage. Do you have any exemplar or inspiration among foreign editors? I used to look up especially to Gardner Dozois, today I most of all respect Jonathan Strahan for his diligence and brilliant yearlong activity not just on his The Best Science Fiction and Fantasy of the Year but a number of other original projects too. His taste in fiction seems to me quite similar to mine, though it’s not easy to tell since editors also try to meet the taste of their readers and offer them diversity where every reader can find his beloved piece. That’s what I’m trying to accomplish every month in XB-1 as well as in my anthologies. We all still have lots to learn and it’s best to learn from the best. 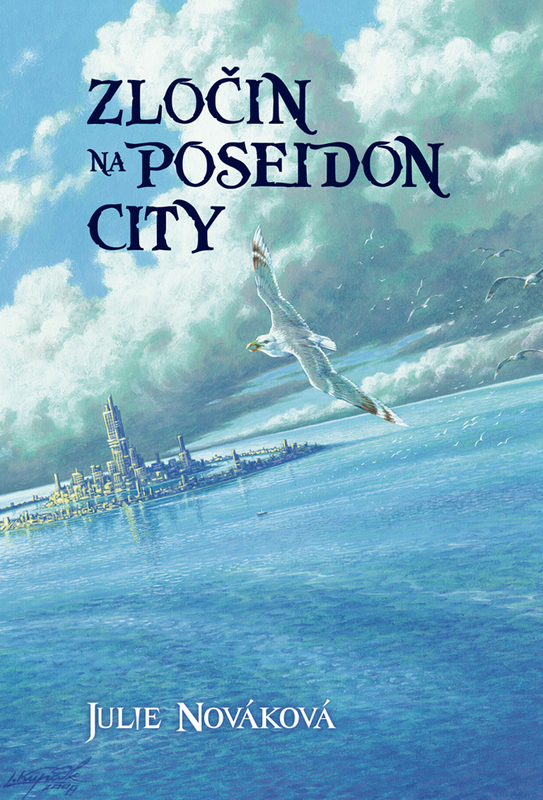 Anglo-American speculative fiction went through a number of changes since the beginning of this century: more online publication options, new popular subgenres, authors from all over the world writing in English… What changes do you consider most important or interesting and where do you see SF in this decade going? Everything is connected to the growth of electronic publishing and erasing boundaries and distances. English is so widespread nowadays that almost everyone regardless of their nationality can learn it since childhood. And thanks to new opportunities and expanding the market, there is more space for non-Anglo-American writers including Czech authors. Personally, I consider this trend very positive and expect it to continue and intensify in the future. These days, Anglo-American authors still have a major role but it might not take long for writers from the whole world to fill the gap. I believe that non-Anglo-American online magazines will play a more important role in the future and the market would expand and diversify even more. It’s a fascinating unstoppable process favorable especially for the readers – they’ll just need to learn to voluntarily pay for what they like, or it would inevitably lead to more commercialization and depreciation of the written word. What’s your opinion about current Czech SF – and would you try to predict where it might be going? Czech SF seemed a little boring to be for a long time, shut out in its own self-praise and attempts to copy successful trends. Until recently, I’ve rather avoided it, though a lot of projects interested me. Nowadays I’m finding a way back to it since lots of new plans occur and everything’s starting to move ahead again. I welcome attempts to get into foreign markets, even if just by one story, and I hope there will be more. I also welcome ambitious projects attempting to achieve worldly goals. I don’t like the frequent Czech self-centeredness and trying to astonish outwardly, while if you look closer, you find an inflated bubble of nothing. It may sound too harsh from me but most of all I’m excited to see signs of change and the will to change around me. A crisis was bound to happen, the so-called “Golden Age” is past us and everyone needs to work harder now. I hope that XB-1 finds its place in this process and won’t just stand by. 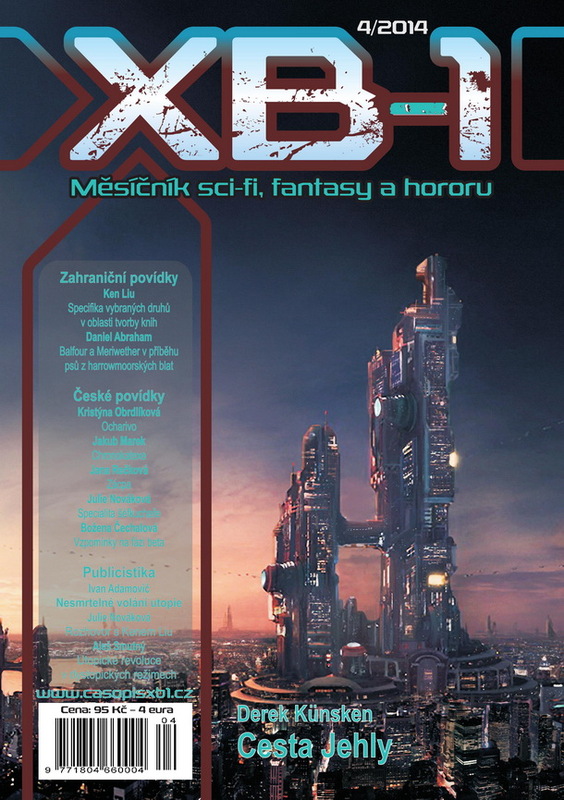 Don’t be surprised if you find some of the questions above not present in the linked Czech article; that one is a snippet too, the full interview is available in the January issue of XB-1 (see the cover below). 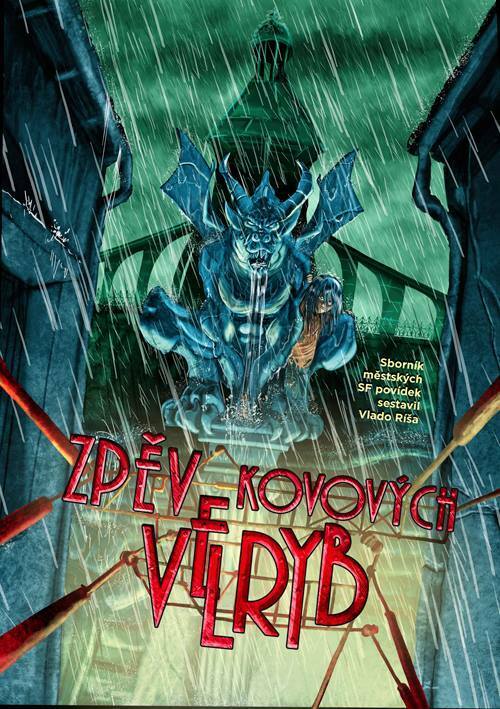 The cover for a new Czech urban SF anthology “Zpěv kovových velryb” (“The Song of Metal Whales”) has been released a couple of days ago. The anthology itself is going to be available in March and I’m really looking forward to the stories by Jaroslav Mostecký, Františka Vrbenská, Anna Šochová, Lucie Lukačovičová, Jan Kotouč, Hanina Veselá, Jana Rečková and Vlado Ríša (who also edited the anthology). I’ve got a piece in there too, a short story titled “Šeré město” (“The Dim City”) set on a colonized planet orbiting a brown dwarf. 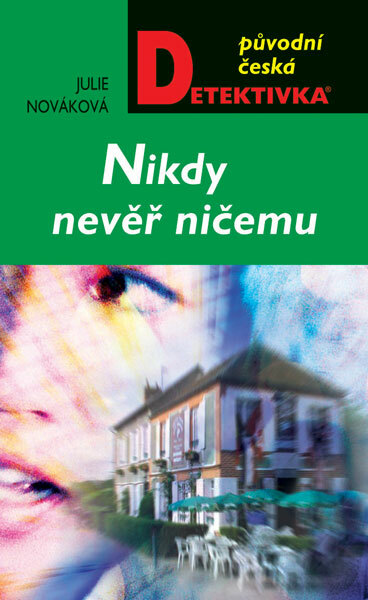 I’ve actually started writing the story in English, intending to translate it later, but got stuck for a little while, the deadline was growing near, so I finished it in Czech. If the reviews are good, I might some day attempt to translate the other half into English; however, I don’t like translating this way – too many artifacts in the resulting text. Writing directly in English is uncomparably easier than translating either way, especially from Czech into English. Last autumn, I interviewed Neil Clarke (Clarkesworld) and Martin Šust (XB-1) about their respective editorial work. The interviews were published on the website of XB-1 and in print in February and January issues of the magazine, respectively. Since then, Martin asked me to do more interviews, especially tied to the stories published in XB-1. March issue will among other stories feature a translation of Adam-Troy Castro’s great short story “My Wife Hates Time Travel”, along with an interview with him. One of the following issues is going to contain Ken Liu’s beautiful “The Bookmaking Habits of Select Species” and last week, I was preparing for an interview with him. He has received the questions by now and I’m really looking forward to his answers. All the people I’ve interviewed so far are just brilliant and their answers were very interesting. The magazine is only available in Czech, however; that’s why I’ve asked Martin whether I could post snippets from the interviews here in English. He said yes – and here’s the first one! Meet Neil Clarke, founder and editor of Clarkesworld Magazine. He has been nominated for the Best Editor Short Form category Hugo Award as the first editor being nominated for his work on a digital medium solely. He also runs Wyrm Publishing, which is focused on works in the realm of science fiction and fantasy and published books by Tobias S. Buckell, Catherynne M. Valente, Charles Stross and other well-known authors of SF. With the October 2013 issue, Clarkesworld Magazine successfully reached its 7th anniversary. Did you try to imagine how the magazine would look today when you launched it in 2006? It’s nothing like we thought it would be. In 2006, no one had any idea how to make an online publication work. Longevity wasn’t something these publications were known for and many authors were dead set against publishing their work online. For all practical purposes, e-books, our biggest source of income, didn’t exist. There have been major changes in the landscape over the last seven years and that’s required us to regularly revise our vision for Clarkesworld. Clarkesworld was one of the first major online speculative fiction magazines, even more notable for its freely accessible content as well as pro pay-rate for authors and regular monthly issues – certainly a very ambitious project. It might be one of the notoriously unanswerable questions, but I dare to ask anyway: How did you come up with an idea for the magazine and decide to actually realize it? At the time, I owned an online bookstore and had been experimenting with online fiction to help promote the small press magazines we were selling. Sean Wallace was publishing Fantasy Magazine at the time and had been one of the publishers participating in my little project. Sean and I were both at Readercon in 2006 and one night, we were just chatting about the experiment, the recent demise of Sci Fiction, and why no one was having any luck with this medium. Over the course of that discussion, we came up with a new business model and I decided to give it a try. By the end of the weekend, the magazine was fully staffed. A few months later, we published our first issue. Looking back, we were just as crazy as everyone said we must be. The magazine went from being a newly established online periodical to one of the most important genre magazines very quickly; it won two of the Million Writers Award categories for the year 2006 and then continued with countless nominations for major SF awards and winning the three most famous ones, Nebula, Hugo and Locus, multiple times. What was in your opinion the most notable success so far, if such can be picked? Our Hugo Award wins, particularly the most recent one, have been very personally rewarding, but when it comes to notability, it’s all about the stories. When one of them is nominated for or wins a major award, it’s a big deal for us. Singling out just one would be like picking your favorite child: an impossible task. Yes. I had a near-fatal heart attack while on vacation in July 2012. The doctors’ nickname for this type of heart attack is a “Widowmaker”. Every time I visit my doctor he reminds me just how lucky I am to be alive. The damage was much more extensive than originally believed, so they had to implant a defibrillator in my chest. Technically, that made me a cyborg and it’s what inspired the anthology. It may be the first cyborg anthology edited by a cyborg. The magazine is not your full-time job yet, though hopefully the time when it becomes professional-paying market for the staff as well as the authors is nearing. How do you cope with having to have a day job beside your editorial work? It isn’t without some stress. I have to work the Clarkesworld time in around the day job and family time. A lot of work gets done in short bursts, an hour before work, at lunch, after dinner while the kids do homework, late nights, etc. If I didn’t love the job, it would probably drive me insane. It also helps that I don’t watch a lot of TV. Since the interview, Clarkesworld also launched their Patreon and became a prozine according to Hugo ballot rules. Hope you liked it. Soon I’ll also post a snippet from the interview with Martin Šust. And after the other interviews are published, you’ll be able to read snippets from them too. A science fiction story set on a beautiful but dangerous world at the edge of the Solar System. Published in Clarkesworld Magazine (issue 85, October 2013). Chiara listened absently and closed her eyes. Jurriaan had never touched ice, seen dust, been able to imagine real-world distances or experienced cold. Everything he had was his music. And he was one of the best; at least among organic minds. Sometimes she felt sorry for him. And sometimes she envied him. She imagined the world waiting for them, strange, freezing, lonely and beautiful, and a moment came when she could not envy Jurriaan his gift—or his curse—at all. She checked with Orpheus how long the rest of the journey would last. The answer was prompt. In three days, we will approach Sedna. Chiara decided to dream for the rest of the voyage.